As many business owners are aware, mold can cause damage to buildings and personal property. While most molds aren't harmful to humans, some produce substances that can that can cause illness. Thus, mold infestations in buildings can lead to lawsuits against building owners, contractors and other types of businesses. Molds are types of fungi, a group of organisms that includes yeasts, mildew, and mushrooms. Molds are widespread and can be found inside and outside of buildings. There are thousands of different species of mold. These organisms reproduce by creating and distributing spores. Mold requires moisture and oxygen to grow. It is often found in areas where water has infiltrated due to a leaky pipe, a wet foundation, condensation on cold surfaces (such as refrigeration equipment), poor air circulation, or faulty venting. 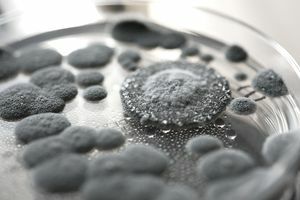 The term "toxic mold" was popularized by the media in the late 1990s. It became a media sensation in 2001 when a Texas couple won $32 million in a mold-related lawsuit against their homeowner's insurer. The huge award had little to do with mold toxicity. The damages the couple received were for property damage caused by leaky pipes, not bodily injury. While the plaintiffs contended the mold had made them sick, they were unable to prove a direct relationship between their health problems and the mold. The $32 million award was later reduced to a bit over $4 million. The term "toxic mold" is a misnomer, according to the CDC, since molds themselves aren't toxic. Nevertheless, some molds produce spores or toxins that can be harmful to humans. People who have allergies, respiratory problems, or a weakened immune system are more likely to have reactions to mold than people without these conditions. Young children and the elderly may also be more vulnerable. Adverse reactions to mold may occur immediately after exposure or they may be delayed. Businesses may be held liable for injury or damage sustained by tenants, customers, employees or others due to mold. Some types of businesses are more vulnerable to mold claims than others. These include landlords, property managers, construction contractors, architects, and structural engineers. Residential landlords are obligated under common law (and many state laws) to maintain rental property in a habitable condition. This means that the building must be safe to live in. If a residential building develops a mold infestation, the landlord may be liable to tenants for any injury or damage they sustain due to the mold. Building managers have similar obligations as landlords since they act on landlords' behalf. The laws regarding commercial landlords are less stringent. This is because commercial tenants are usually more sophisticated than residential tenants in negotiating with landlords. Commercial buildings generally need not be habitable, but some states require that they be fit for their intended use. In some cases, a commercial tenant might be able to prove that a building contaminated with mold is unfit for the use for which it was intended. Improper Materials: The contractor used the wrong type of materials. For instance, the contractor failed to use the right waterproofing materials to prevent a building from leaking. Improper Techniques: The contractor used the right materials but installed them improperly. For example, a window installer used the appropriate flashing but didn't attach it properly to the window sill. Damage During Construction: The contractor negligently caused damage during the construction process that resulted in water infiltration and subsequent mold. For instance, a roofer accidentally damaged a vent while installing a new roof. Water leaked through the vent, causing a mold infestation. Architects and structural engineers are subject to lawsuits based on allegations of improper design of a building or its components. Claimants may allege that the faulty design allowed moisture to enter or accumulate in the building. The moisture promoted the growth of mold, which injured the claimant or damaged the claimant's property. Employers are obligated under common law to provide a safe workplace for employees. They are also required by the Occupational Safety and Health Act to provide a workplace that is free of recognized hazards that may cause serious harm to employees. Because the health effects of mold aren't well understood, there are no federal standards for airborne concentrations of mold or its spores. OSHA has published a safety bulletin on mold. This document is intended for building managers but may be useful for any employer looking for information about mold. The most effective way to avoid mold suits is to prevent mold from growing in the first place. Buildings owners should do an annual inspection to check for leaks, condensation, faulty seals around windows and doors, poor drainage around foundations, and other sources of moisture. Ventilation systems should also be checked. In the past, businesses could protect themselves against mold claims by purchasing general liability insurance. The standard ISO liability coverage form does not exclude mold specifically. It does contain a pollution exclusion, but the exclusion is seldom applied to mold claims. Insurers have had difficulty convincing the courts that mold qualifies as a pollutant. Since they can't rely on the pollution exclusion to preclude mold claims, insurers often attach a Fungi or Bacteria exclusion to the policy. Many insurers use a very broad exclusion published by ISO. This exclusion consists of two parts, A and B. Section A applies to bodily injury and property damage, and section B applies to personal and advertising injury. Section A excludes any bodily injury or property damage that results from exposure or contact with fungi or bacteria on or within a building or its contents. The exclusion contains an anti-concurrent causation clause. This clause eliminates coverage for any injury or damage involving fungus or bacteria, even if another cause or event that is covered by the policy contributed to the injury or damage. Section A also excludes any loss, cost or expense that arises out of mold cleanup or remediation. Businesses can protect themselves against third-party mold claims by purchasing environmental (pollution) liability insurance. Environmental policies cover third-party claims that result from "pollution conditions." Policies vary widely, and some (but not all) cover mold. If you would like more information about environmental liability insurance, consult your agent or broker.